Will Japanese citizens take the law into their own hands? With little fanfare and even less public debate, the Japanese Diet passed a bill a few years ago that reformed the nation’s criminal court system by requiring citizens to serve as lay judges on panels and hand down verdicts. Perhaps only in Japan could a measure that will so drastically alter a public institution and the people’s interaction with it go into effect with so little citizen input. Here’s what will happen: Three-judge panels settle criminal cases in Japan today. There are no juries. When the new law takes effect in 2009, six citizen lay judges will serve with the three judges on the panel on a case-by-case basis to render verdicts. The head judge will later determine the sentence. This will place an unprecedented amount of power in the hands of Japanese citizens. Indeed, though the ideal is for the nine-person panel to reach a consensus, decisions will be made by majority vote, and citizens can clearly overrule the judges. (Judges will be able to overrule the citizens only when all six citizens vote to convict and all three judges vote not guilty.) Yet there has been almost no public discussion of this step, which truly deserves to be called revolutionary. This new system is likely to cause the following changes. It will speed up trials from the current two or three months to two or three days in most cases. Trials are now not conducted on consecutive days; they are often held just once a week while those involved in the legal system work on other cases. Therefore, trials will be conducted for the citizens’ convenience rather than the convenience of the judges and lawyers. It will transform the language used at trials. Most courtroom language is a specialized jargon that few Japanese not understand. The lawyers and the judges will have to be more plainspoken. This will require public employees to treat the public as a partner, rather than a forelock-tugging peasant. Because citizens will literally hold the life of a person in their hands, they will be forced to formulate concrete opinions and present them to others in a convincing manner. Though society is changing, many Japanese are still loath to insist on their opinions in public situations. I can’t see how that will last much longer. There is little or no oversight over how the police conduct investigations—currently police records are not shown to the public, including the victims—with the result that the police can be clumsy, inefficient, and prone to cover up their mistakes. I can’t see how that will last much longer, either. There are other areas where other unforeseen changes may well occur. 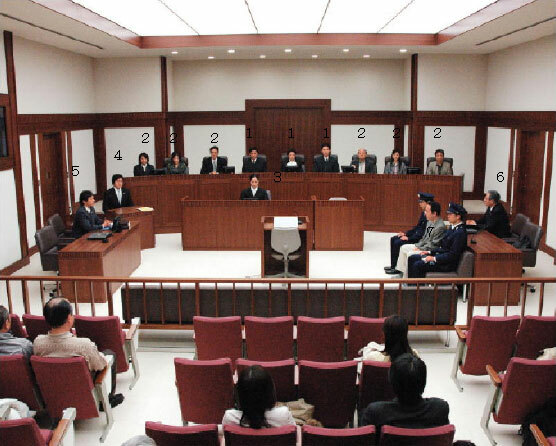 81% of the Japanese favor the death penalty, and many think judges are too lenient. Will these opinions change after the citizens get the power to decide themselves? Interaction between the judges and the attorneys tends to be dry and legalistic. As a result, a defense attorney would no sooner try something like, “If the glove don’t fit, you gotta acquit” than he would pull his pants down and moon the judges. Will the changes cause defense attorneys to make more appeals to the emotions of the lay judges, and will the professional judges be able to temper citizen passion on the panel if that happens? Prosecution of gangsters in Japan is notoriously lax. Will the citizens provide the backbone needed to clean up gang activity, or will threats by the yakuza—who are more assertive in public than the Mafia in the U.S.—make the situation even worse? “There are just too many things that go unreported in the news,” said Hasegawa, expressing dissatisfaction with media coverage that she says only briefly touches upon the ruling read by the judge. Harsher sentences meted out by citizen judges, particularly for serious crimes, will lead to longer incarcerations. This has been shown repeatedly to reduce the overall crime rate. Therefore, Japanese society could become an even safer place to live. As Rei Hasegawa has already noticed, any event that occurs and the media coverage of that event are as different as chalk and cheese, or, as the Japanese say, the moon and a tortoise. In other words, it won’t take long for the average Japanese citizen to put two and two together and realize that media reports on any subject are utterly unreliable. They’ll also see just how incompetent public employees, from the judges to the police, can be. Westerners may not fully realize the impact of the latter. There is a much higher level of respect for public employees and employment in the public sector itself in Japan. The citizens on the panel can only be overruled when the three judges vote unanimously against them. If it’s a question of judgment and not of law, it shouldn’t be too hard to get one of the judges on their side. In any event, this will put real power in the hands of the people, who will have the authority to tell public officials to, in effect, sit down and shut up. The Japanese people have never had that authority before—ever. So, in two years, the Japanese public will finally see first-hand how hot dogs are made, not only in the truth-distorting funhouse mirrors of the mass media, but also in their entire legal system, from the judges down to the cops in the koban—and they will find they have the power to do something about it. Once they get used to wielding that power in the courtroom, the resulting psychological shift could cause a drastic restructuring of Japanese society itself. And those changes will have to be measured on the Richter Scale. Takahashi and Hasegawa have a blog called the Kasumikko Club, where they post their observations about the trials. They average about 4,000 to 5,000 hits a day. For those of you who read Japanese, here it is. This entry was posted on Saturday, February 10, 2007 at 12:30 am	and is filed under Legal system, Social trends. You can follow any responses to this entry through the RSS 2.0 feed. You can leave a response, or trackback from your own site.